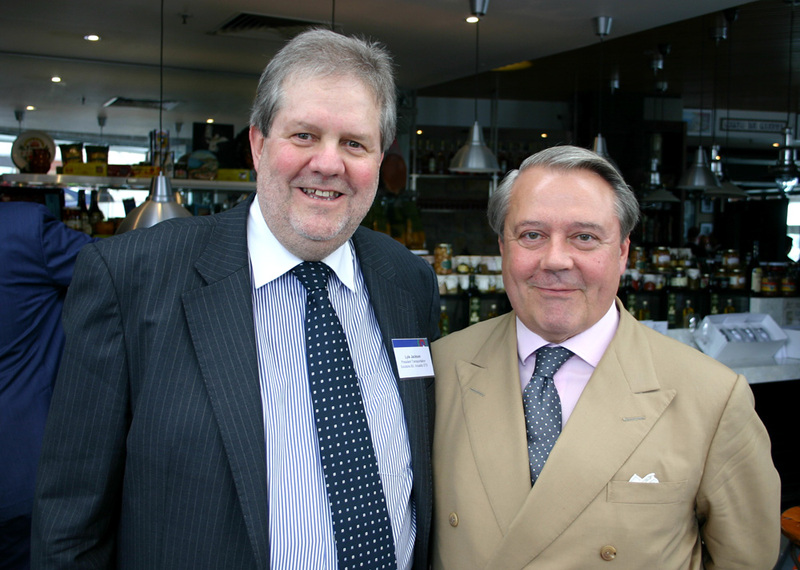 The president of the Italian Chamber of Commerce and Industries Qld, The Hon. Comm. 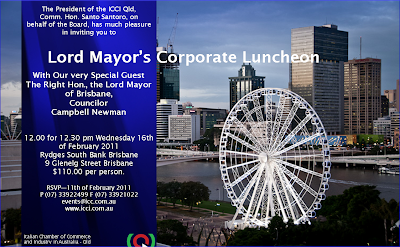 Santo Santoro, on behalf of the Board, has much pleasure in inviting you to Lord Mayor Corporate Luncheon, with The Right Honourable, the Lord Mayor of Brisbane and Cr Campbell Newman as special guest speaker. The Italian Chamber of Commerce & Industry Qld rounded off the 2010 year with a Christmas celebration luncheon for members and special guests. 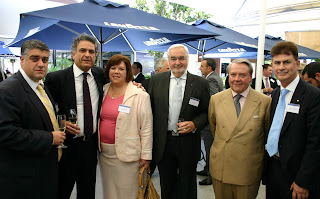 The guests of honour were three pre-eminent Italo-Australians: The Hon. Teresa Gambaro MP, Federal Member for Brisbane, Ross Vasta MP, Federal Member for Bonner and Grace Grace MP, State Member for Brisbane Central. The three dignitaries were interviewed during the lunch by the Chamber's President, Comm. The Hon. Santo Santoro. Guests and members were provided with an interesting perspective on the motivation and political beliefs of the three MPs. 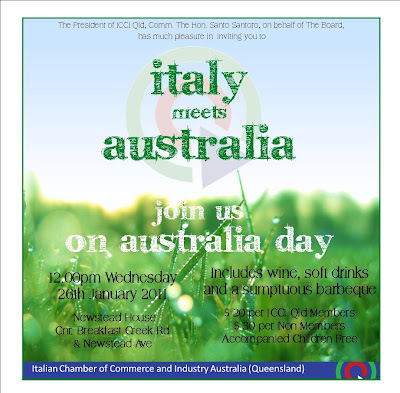 The event underlined the continued re-emergence of the Chamber in its ambition to become the pre-eminent Australia-Italy business and cultural connection, fostering strong relations between the business and cultural communities in Queensland and Italy. Other special guests attending the lunch included Tim Nicholls MP, State Member for Clayfield and Shadow Treasurer of Queensland, The Hon Gary Hardgrave, Shadow Minister for Economic Development, The Hon Con Sciacca AO, Dr. Francesco Capecchi, outgoing Consul of Italy in Brisbane, Serge Voloshenko, President Qld Ethnic Community Council, Antonio Colicchia, Vice-Consul of Italy in Brisbane, Dean Merlo, Nereo Brezzi, President of Co.as.it, Guiseppe Murtas, President of the Sardinian Association and Cav. Luigi Monforte. The Chamber, strongly supported by a group of major corporate sponsors such as Ansaldo-STS, EuroMarque, Singapore Airlines, is planning a series of events throughout 2011, including Italy meets Australia, a day of fun planned for Australia Day 2011. 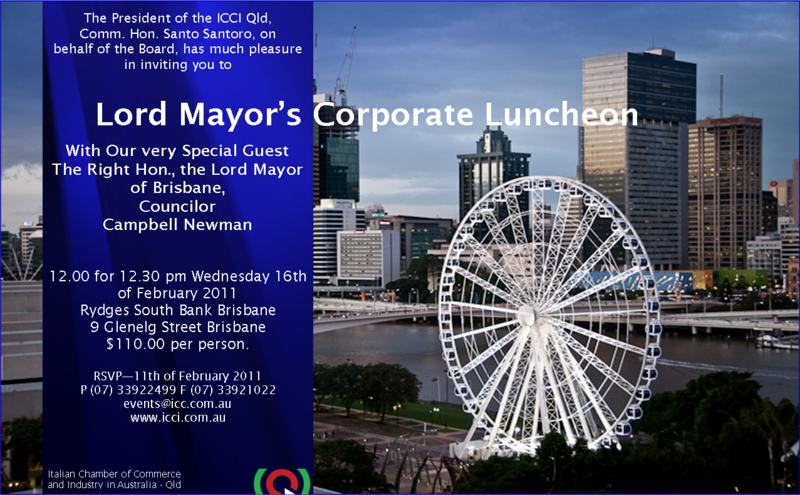 The Corporate Lunch with The Right Honourable, the Lord Mayor of Brisbane and Cr Campbell Newman as special guest speaker that will be held on the 16th February 2011. Former Premier of Queensland, The Honourable Peter Beattie has agreed to be the special guest speaker at the March Corporate Lunch. Also soon to be formally announced is an exciting Member to Member programme which will significantly enhance the value of Chamber membership for its sponsors and members alike. 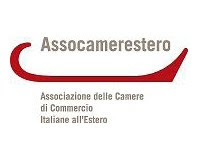 The Chamber wishes to thank its major corporate sponsors, Ansaldo-STS, EuroMarque, Singapore Airlines and New Realm Media and the Chamber supporters, dell’Ugo Ristorante Italiano, Di Bella Coffee, Dolci Sapori, Gerbino’s , Gusto da Gianni and Italiquore Brands International. Paul Roati, Nelson Heck, Hon.Comm. Santo Santoro, Daryl Scott, Greg Skyring. Comm. The Hon. Santo Santoro, Maria Twin, Gloria Robertiello. Matthew Sorbello, Alf Sorbello, Chris Smedley, David Lane, Paul Roati. Italy meets Australia - 26 January 2011Join us on Australia Day, where the best of Italy and Australia will be celebrated on the Lawns of Newstead House, overlooking the Brisbane River. Ansaldo is a leading transportation systems and infrastructure provider. 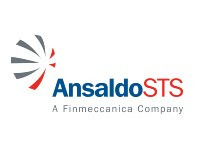 Drawing on 150 years of technological excellence and proven capabilities, Ansaldo STS continues to create safer and more efficient transportation systems all over the world. 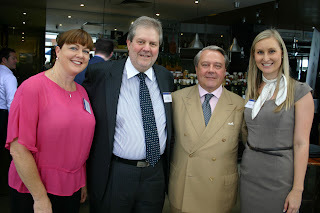 On the 4th October, the Italian Chamber of Commerce in QLD hosted two major events: The Inaugural Ambassadors Lunch 2010 and the Sistema Italia Meeting, attended by Presidents and Secretary Generals of the Italian Chambers of Commerce and Industry in Australia. Following the election of the new board of directors lead by President Hon. Com. Santo Santoro, the Vice-president Fabio Orlando, the new Secretary General Alessandro Sorbello and the new Treasurer Peter Costello, the Italian Chamber of Commerce in Queensland officially introduced the new strategy plan and its activities to its network at the Inaugural Ambassadors Lunch. 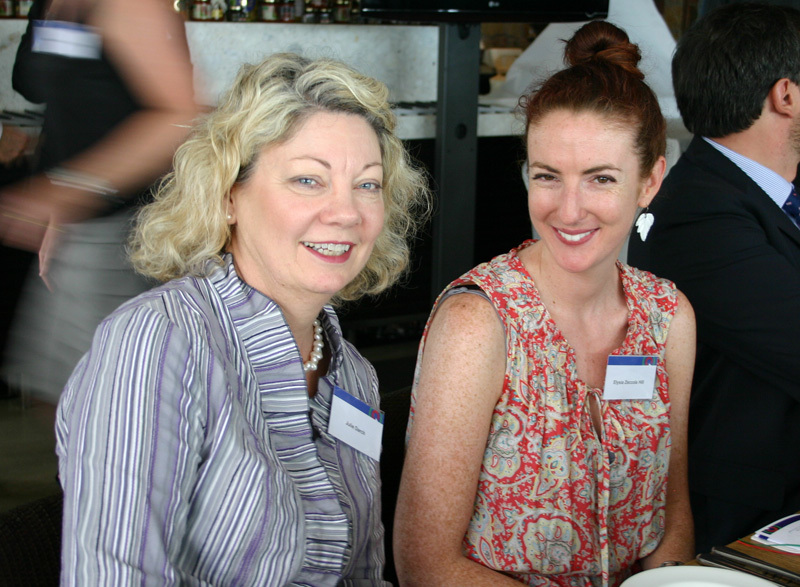 Queensland business community gave a strong sign of support to the new management of the Chamber: over 150 distinguished entrepreneurs attended the Inaugural Ambassadors Lunch, held on the 4th October at Gusto da Gianni Restaurant at Portside Wharf. Beside the Ambassador of Italy in Australia, Gian Ludovico De Martino di Montegiordano, attended the lunch the Consul of New South Wales, Victoria and Western Australia and Francesco Capecchi, the Consul of Queensland and Northern Territory. The Lunch was also attended by the Presidents and Secretary Generals of all the Italian Chambers in Australia, some of the mayor Italian company operating in Queensland, such as Ansaldo STS and Ghella and various Australian companies, most of them ICCI’s members. During this sumptuous Lunch, the Ambassador gave an interesting speech in regard to Queensland and Australia economy. Santo Santoro, President of ICCI, Alessandro Sorbello, ICCI’s Secretary General and Peter Costello, ICCI’s Treasurer also delivered speeches regarding to the Chamber activity. The Consul Francesco Capecchi delivered the final speech. In his official speech, the President of the Chamber, Hon. Com. Santo Santoro, expressed his sincere appreciation for the honor of having Sistema Italia Meeting taking place in Brisbane thanks to the commitment of the Italian Ambassador, Gian Ludovico De Martino di Montegiordano. Santoro has sincerely thanked the mayor sponsors Ansaldo STS, Euromarque and Singapore Airlines and also the other sponsors Gusto da Gianni, Ristorante Dell’Ugo, Dolci Sapori, Gerbino e Italiquore for their precious contribution in the organization of the event. The Sistema Italia Meeting was held in the afternoon at Casa Italia Community Centre, here the Ambassador, at the end of the meeting, also met the Committee’s members. In the evening Hon. 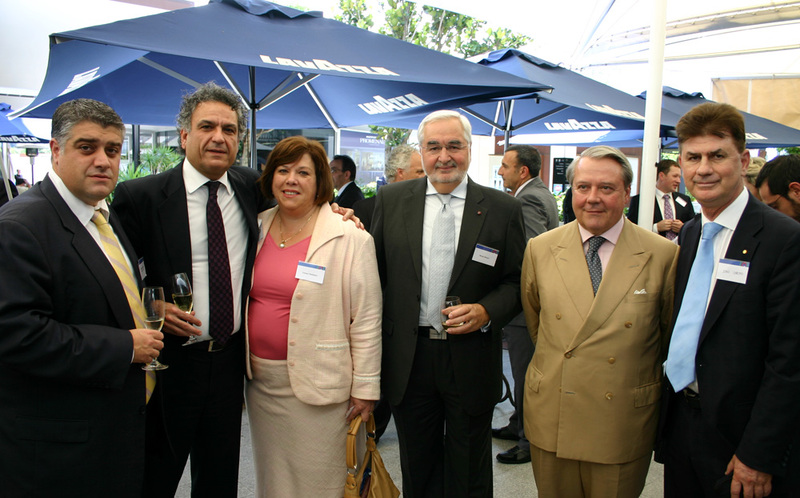 Santoro hosted a private function attended by various representatives of Brisbane Italian Community. The attendees were invited by the Ambassador and the Consul to support with their constant commitment the development of cultural and trade relations between Italy and Australia. All the attendees show their strong commitment in achieving these goals and in supporting the birth of a new strong Chamber. From 3 November till 1 December at the Australian Cinématèque of Brisbane, a complete collection of Pasolini will be shown for the first time in Australia. The Cineteca Nazionale – National Film Library (with the collaboration of Laura Argento) and the Centro Studi – Archivio Pier Paolo Pasolini – Studies Centre - Archives of Pier Paolo Pasolini from the Film Library of the City of Bologna, worked effortlessly on research whilst the composition of material was furnished to the interested “Cinemazero” and the historical documents of Gideon Bachmann. The Australian tribute to Pasolini, which was made possible due to the strong collaboration between this Consulate of Italy in Brisbane with the Gallery of Modern Arts (GoMA) and the Australian Cinématèque, is comprised of his cinematographic masterpieces, and for the first time are complimented and accompanied by his collection of contemporary artworks, video artworks aspirated as a reflection of his image and, works that is Pasolini (http://qag.qld.gov.au/cinemateque/coming_soon/pasolini/ ) murdered on the night between 1 and 2 of November 1975. Being part of the Queensland Art Gallery, the Australian Cinématèque, a museum of contemporary art, which is one of the most active in the Asian region managed such initiative from the support of the Asia Pacific Triennial of Contemporary Art, which enables programs to take a completely contemporary approach. For example, in 2007 the memorable exhibit of over 160 films on the legacy of “Nouvelle Vague” in occasion of the 50th anniversary since its birth. As the case of the forthcoming review, the director, Kathryn Weir has achieved to create an exhibition which meets and exceeds every expectation of contemporary art surrounding the image and the works of Pasolini. The Australian public will be able to capture the images of Ostia for example, the location of which a short film, produced by Julian Cole, was filmed in 1991 based on the murder of Pasolini and interpreted by Derek Jarman. Extracted from this collection is a Pasolini which defines more than a great director in a unforgettable history of Italian cinema but determines a contemporary state of being as an addition to his image as a poet and intellect. Sardinia is considered to be one of the most unspoilt and precious island in the Mediterranean Sea. Its large white beaches, evocative coves and creeks of extraordinary beauty have always been a great attraction for both tourists and researchers. This unique land offers inexhaustible natural resources and ancient cultural-reminiscences that have inspired painters, photographers and artists for decades. The photographic publication Istanti di Sardegna (Sardinia Moments) collects the unforgettable surprise and magic’s moments which this fertile island donates to our eyes. The reader would not be tired of watching Sardinia through an unexpected and curious point of view. Istanti di Sardegna is the masterpiece of Sardinia photographic books, realized by a young and prestigious Sardinian naturalist who has been able to capture with his camera moments and instants of his enchanting homeland. L’isola di Sardegna e’, per la bellezza e la varieta’ delle sue forme e dei suoi colori, una delle perle incontaminate del Mar Mediterraneo. Le sue spiagge di arena bianchissima, le sue grotte fiabesche e le sue baie nascoste hanno da sempre attirato turisti e ricercatori. Pittori, fotografi, e artisti sono stati ispirati, nel corso dei decenni, da questa terra unica, di un’inesauribile ricchezza naturale e pregna di testimonianze del passato. La raccolta fotografica “Istanti di Sardegna” raccoglie, attraverso le sue foto, i momenti di magia e sorpresa che questa terra e’ capace di donare ai nostri occhi. Il lettore non sara’ mai stanco di ammirare il paesaggio della Sardegna da un’inaspettata e curiosa prospettiva. Istanti di Sardegna è l’ultima opera di ricerca fotografica di un giovane e prestigioso naturalista Sardo che con la sua macchina fotografica è stato capace di catturare momenti e istanti della sua Sardegna. Note sull’autore: Gianfranco Casu, gia’ collaboratore dell’ ISSA (istituto di studi sull’ambiente), fonda nel 2005 SarGea, societa’che, attraverso un lavoro di ricerca e percorsi di indagine, osservazione e documentazione, mira alla divulgazione e promozione dello straordinario patrimonio ambientale e storico della “Terra Sarda”. Nel 2007 partecipa al concorso riservato ai lettori della rivista National Geographic Italia ottenendo numerosi riconoscimenti e nel mese di settembre 2008 viene premiato al prestigiosissimo campionato italiano ufficiale F.I.A.F di fotografia naturalistica per professionisti con una foto riguardante una coppia di gabbiani corsi in corteggiamento. It is with great pleasure that the Accademia Italiana della Cucina meets once again on Thursday the 21st of October. This dinner is very particular as every Accademici and delegation globally holds their dinner on the same night – the Theme for this year’s international event is ‘ The Kitchen of the religious festivities’ and this theme, set by the Accademia will be celebrated contemporaneously around the world. La Cena ecumenica, appuntamento istituzionale a cadenza annuale, riunisce contemporaneamente alla stessa mensa virtuale gli oltre settemila Accademici presenti in Italia e nel mondo. Il tema proposto per l'anno 2010 è la cucina delle festività religiose. Parking is available under the building! The Queensland Symphony Orchestra has a concert coming up in October called The Italian Influence. Concerti by Vivaldi, Albinoni, Marcello and Corelli are some of the great Italian works featured in this program of baroque music. It is on at 8pm, Saturday 16th October at the Conservatorium Theatre. Cu-Cinema Italiana - celebrating the Italian Film Festival. It is with great pleasure that the Accademia Italiana della Cucina meets once again on Thursday the 30th of September to Celebrate ‘Cu-Cinema Italiana’ a tribute to the Italian Film Industry and its strong connection to Italian Cuisine. Copyright 2011 Italian Chamber of Commerce and Industry Queensland. Picture Window theme. Powered by Blogger.